Since 1985, Cendrex has been designing and manufacturing rated and non-rated access doors, roof hatches, floor hatches and cabinets of superior quality. On-time delivery with an efficiency rate exceeding 99%. 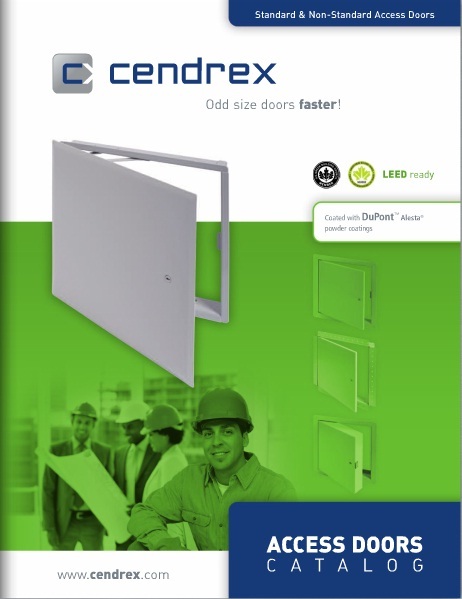 Cendrex manufactures odd-sized access doors in 5 days. Cendrex produces access panels fully customized to your specifications in 10 days! The FlexiSnap adjustable magnetic access panel reduces installation time by 90%. Opt for access panels from the Elegance Collection series, the most aesthetically pleasing doors on the market. Regional warehouses located in California, Colorado, Florida, Illinois, Kansas, Pennsylvania, Texas, Washington and Canada allow us to deliver a variety of different products on time. Cendrex access doors can help secure LEED v4 certification.